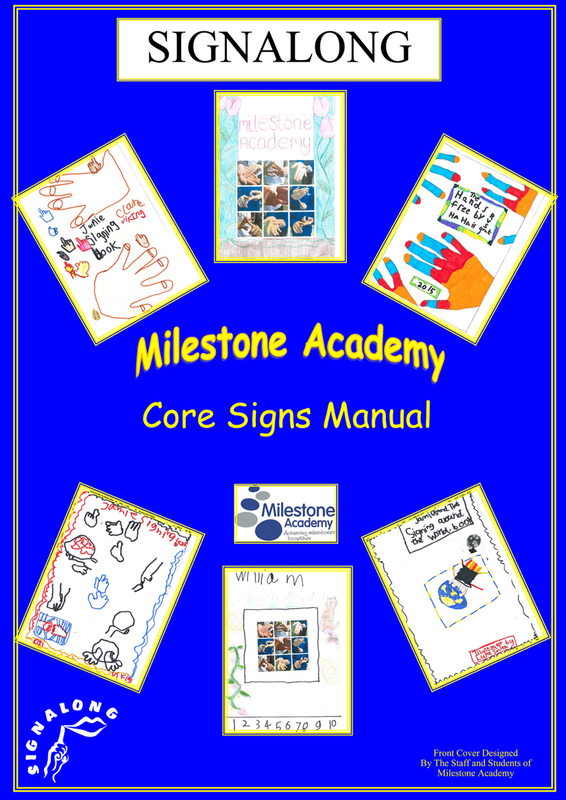 Milestone Academy have kindly given Signalong permission to include their commissioned manual to be included in our publication list. Milestone Academy is a special Academy within the Leigh Academies Trust. It is designated for pupils 2 – 19 years with profound, severe and complex needs. As a school they have used Signalong successfully for over a decade and see Signalong as the best signing system for their learners to aid and encourage communication. The vocabulary in this manual has been chosen because of its relevance across Milestone Academy and is applicable to other educational setting and has been separated into 19 easily identified sections. The commissioned manual covers every day core signs, curriculum specific vocabulary and signs for home in one comprehensive place. The vocabulary includes; Core Signs, People, Lunch & Snack Time, How We Feel, Days Times & Seasons, Subjects at School, Geography, History, English, Maths, Science, Art, P.E, Dance, Music, Weather and At Home. We hope you have as much fun using this wonderful tool as Milestone had creating it.